Will we get the job? Only the Forest Service knows for sure...so we wait...should hear very soon either way. So let us begin a photographic memory of when it was -10 cool outside in SW Wisconsin in honor of the 80 degree temps we have been getting lately here in NW Wisconsin....shall we? These guys are who we work with, daily. 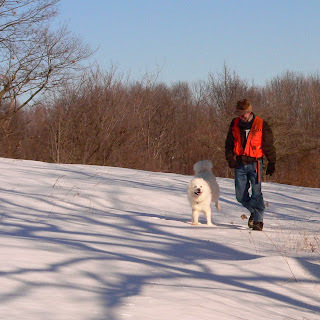 Mr. Foresterman and Dexter the white Samoyed. They both have huge appetites and will eat my lunch if I cant finish it. Dont they look happy? usually we can walk on top of the snow. Its so cold out that there is frost around the little airholes of the critters who are sleeping in for the winter! Never saw a poor Oak tree with a hole in the middle, and he is still living! This probably happened when a large branch on the other side came down, leaving a crack. As the years progressed, water made it into the crack, freezing in the winter and expanded it to what we see today. Chances are that bugs, birds, and animals will slowly take down this tree. Dexter likes to look at trees too. And squirrels. All in all, Trees are fun just to look at! 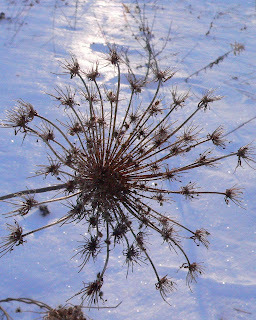 And so are animal tracks in the snow. of living in someone's warm house someday, ok? I also love looking at the "understory" - the different plants that live under and by the trees. 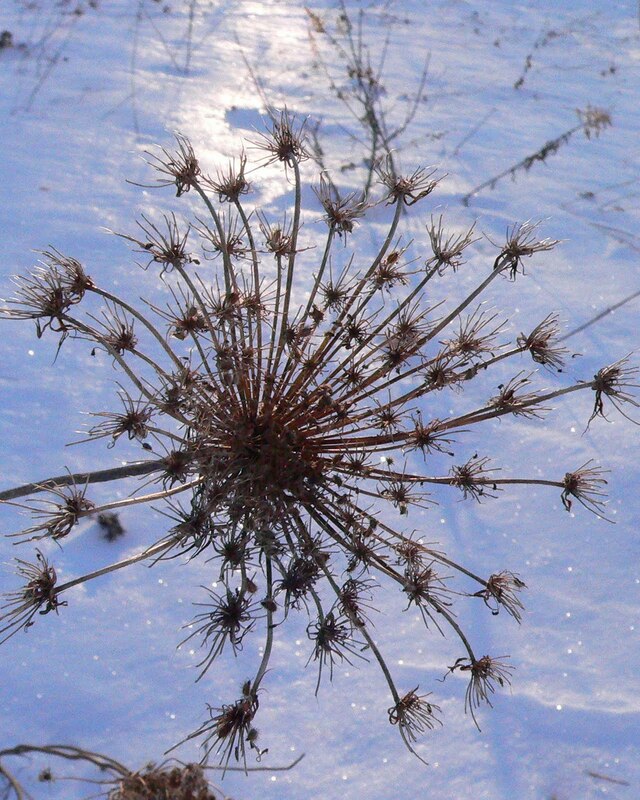 Even Queen Ann's Lace looks cool in the winter! Yep, Dexter likes winter Forestry work!